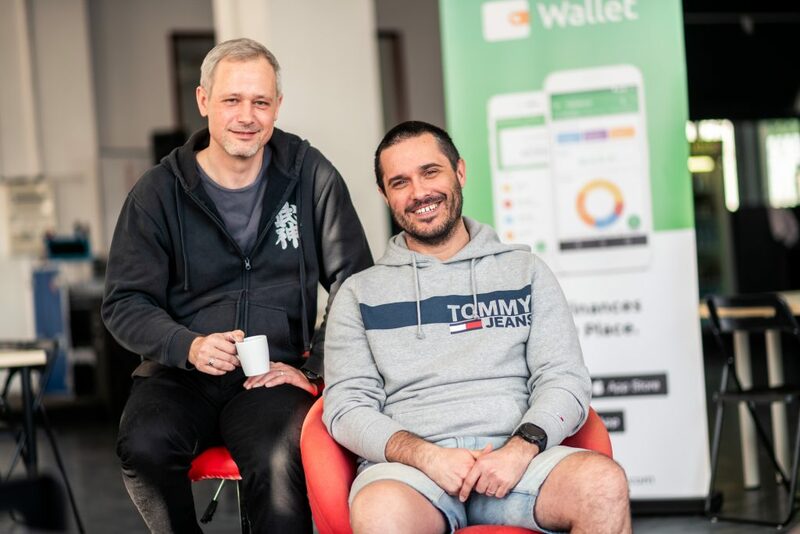 BudgetBakers’ Wallet mobile application has been downloaded more than three million times; its most active users are in the United States, Russia and Indonesia, which highlights the global reach of this Czech start-up founded in 2014 by developer Jan Muller (formerly of Seznam). Since 2016, BudgetBakers has succeeded in radically expanding its client base – average year-on-year growth in the number of active users amounts to 40% and the threshold of 300,000 monthly active users was crossed in 2018. Furthermore, the firm’s revenues from the prepaid Wallet application have grown significantly over the past two years with year-on-year growth averaging 150%. “The trust of experienced investors such as Rockaway, StartupYard and other specialists is a sign that we are on the right track. The Wallet application is one of the most significant global applications in its segment, as it is downloaded daily by users in Asia, Europe and the United States. Thanks to that, we have been able to get in the black in the past year. All of this inspires trust in investors and makes it possible to focus on the creation of a new application for entrepreneurs,” says Michal Kratochvíl, CEO BudgetBakers and one of the investors. The other investors include, for example, Petr Zámečník, who supported BudgetBakers during its launch, and the internationally renowned banker Ivan Svítek. The Rockaway investment group has supported BudgetBakers since 2017. “Among Czech fintech start-ups, BudgetBakers has one of the strongest management teams. The firm has succeeded and is prospering in the global personal finance management environment because it provides a better product that is more attractive to users than its American and Asian competitors. It is primarily the strength and ability of Michal Kratochvíl’s and Jan Muller’s team to identify unique market opportunities that attracted us to BudgetBakers. We are looking forward to the new application for entrepreneurs,” says Andrea Lauren, investment partner at Rockaway. For Jakub Havrlant’s investment group, this involves another strategic investment in the fintech area, in which ThreatMark and the Fundlift crowdfunding platform already play a role, and active engagement in the development of a proprietary fintech solution for Mall Group under the name Mall Pay. The new funding will enable BudgetBakers to enter the B2B market, where it will offer an application that will enable entrepreneurs, company owners and sole traders immediate, comprehensible and clearly arranged information on the financial situation of their business. The new application will serve as an active tool for dynamic management of finances including cash flow, invoicing, supplier-customer relations, automatic connection to bank accounts, etc. The application will have the highest elements of security and confidentiality in relation to third parties. There is currently no comparable product on the market. Testing of the new application is planned for June 2019.